Aaron joined the Kick Start programme in 2012 having moved from another area. He admits that while he was at school he struggled to settle down and as a result his behaviour suffered. He lacked confidence in his abilities but through the support of his tutors has become fully focused on maximising his potential and aspires to become a games designer. He was awarded Student of the Year for Kick Start before he progressed onto Level 2 Art & Design which he has now successfully completed. 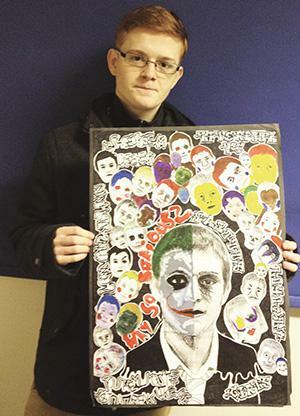 Aaron hopes to go onto University to study Games Design after studying Level 3 Art & Design at ESC.